The St Kitts Nevis Football Association Technical Director Mr. Lenny Lake made a special visit to the Nevis Football Association to discuss the future of Football in Nevis. Lenny Lake travelled to Nevis on Thursday 3rd February 2011. The Technical Director travelled with Marketing Manager Andrea Liburd and members of the SKNFA’s Grassroots and Beach Soccer Committee. The meeting was attended by the Nevis Football President Mr. Collin Walwyn, Vice President, SKNFA Executive Member Raymond Smith, and Executive Member Leroy Sweeney. Mr. Lake the Technical Director discussed various new programmes that have been launched in St Kitts and the schedule to introduce the same programmes in Nevis. The discussion began with plans for Beach Soccer in Nevis. Nevis is not new to playing football on the beach and has a beach football festival held annually. During the discussion it was agreed that although Nevis plays football on the beach the official Beach Soccer rules are different and plans were made to introduce the new format of the game in Nevis. Plans were also discussed to have a workshop for coaches and referees as well as introduce the game in the High Schools in Nevis. Plans were also made to continue the league in Nevis under the new Beach Soccer rules. Grassroots was second on the agenda as the Nevis Association was keen to get involved with the programme. The target group is communities that might not have a strong football programme but there are children from the age of 5-12 who can be taught the game in a fun way. The target area that was pointed out by the Technical Director is Bath Village. Coaching Education was also discussed. The TD enquired about the qualified coaches in Nevis. The need to have licensed coaches would improve the quality and standard of the game in Nevis. The Nevis Association was asked to provide the SKNFA with a list of names that would be interested in becoming a licensed coach. The names would be placed on the list for the next coaching course scheduled in Nevis, St. Kitts, regionally and internationally. 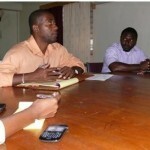 Membership of the Nevis Association was also discussed. Currently there is only one club registered with the SKNFA and the Technical Director urged the Nevis Association to seriously consider encouraging teams to come onboard as Nevis will miss out on a lot of opportunities planned for 2011. 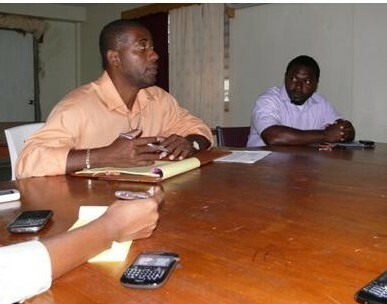 The Nevis Association indicated that talks were ongoing with regards to becoming a member of the SKNFA. They are in discussion and are close to an agreement with the clubs in Nevis in order for this to become a reality. Also discuss at the meeting was the new programme being launched in the Federation WICWC. After the meeting the Team visited several potential sites for Beach Soccer and an indoor facility in Nevis.